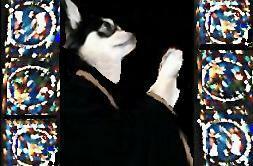 Posted: Thu May 21, 2009 1:44 am Post subject: Is Prayer Telepathy? Before, I go any further, I am not preaching or criticising anyone's religion. Or am I saying that any religion is differnt. If you think about it, the whole concept is madness if it were not for brainwashing. I am not saying that it is wrong, but look at it in your earthly fashion. You go to either a church or a shrine, and pray to an unseen god and praise him. Have you ever realsied that you are in fact using 'Mental Telepathy'? You pray to your god to save the poor little children, but not the dear old men...why? Then pray for God and your country, whilst your enemy does the same. Yet, when your god ignores you, that is okay...but when my god answers me, it is madness? We hold our palm together when we pray, because it completes the circuit and our messages surge through the nimbus. You draw your saints with gold circles around their heads, but do not accept the aura. So is it 'belief' that controls madness or is it 'logic'? Does logic dictate the masses or the few? Why do the masses do not accept that which has failed...and if the 'yardstick' is at fault, why use it to determine the results ? Suppposing 'belief' is incorrect and logic cannot be accepted? What then controls fate? Those who pray, or others who weep? Have I lost you.....or am I still gaining? Suppose that I am correct, and that telepathy is prayer? Does that mean that you are not telepathic, but your god sees all....or that you are telepathic and talk to him? Is it the degree of your ability that is at question, and not it's attribute and if so why do you judge mine? Is it the blind that see light or the sighted who cannot see blackness? Where then do we draw our case.....from that which has failed? If your god hears you, then why can you not hear him? Better still, why do you still pray? If your failure is such that you see madness, then you must also see visions. Visions by whome....through he that you pary or your own isolation? As yet I would like to hear. YES another LECTURE by GEORGEK. You say you are not critising peoples religons but yet I still feel kind of insulted. What are you hoping to achieve? You still trying to make a dig about the way people judge you and dont believe you? 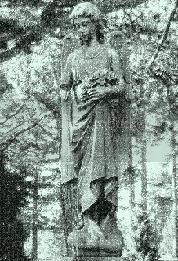 Posted: Thu May 12, 2011 12:34 am Post subject: Re: Is Prayer Telepathy? * a way of 'non-verbally transmitting' [thoughts, emotions, etc,] to other people. * being able to 'pick up' what others are thinking and feeling. In other words, you are on their 'wavelength'. Often without being consciously aware of it. Prayer is a form of meditation I agree but it goes no further than your own brain. If you can provide any proof that Prayer works or that it connects oneself to 'a higher power' (what higher power) other than personal experiences or other peoples stories then I'll be glad to knock myself out Alex. I explained that to you at the time Cactus. Perhaps it's yourself who is closed minded?. Do I have to go over my replies again and again because you don't understand or take in what my replies suggest?. The human body has a remarkable ability to heal itself - even from Cancer. Miracles do happen but they have bugger all to do with God or any higher power. I was only saying that no matter what proof Alex would provide for you; it wouldn't be good enough. what would be proof for you? In what context - prayer?. I guess if prayer healed an amputee that would be pretty conclusive. Can't help you there Alex. Seven angels sprung to mind but I might have my stories muddled. On the other hand if prayings your thing and you beleive it works then go ahead, one day you might prove DB wrong. ..........maybe.